Resmaa Menakem addresses an audience gathered at Public Functionary for his exhibit "The Reckoning." Community elders gave Resmaa Menakem his name approximately 20 years ago and merely a decade after he began his path as a mental health therapist. His name reflects his calling as a healer with Resmaa meaning “to cause to rise in the alignment of truth” and Menakem meaning “using the foundation of his people” in the Kemetic language. Menakem believes that he “came to this planet as a healer,” and remembers that his mother noted his affinity for helping people in his youth. After 30 years of working as a therapist with people with severe handicaps, abused children and others, he has now released another book to aid with healing and show the truth in his name. Menakem’s book, titled “My Grandmother’s Hands: Radicalized Trauma and the Pathways to Mending our Hearts and Bodies,” dropped in September 2017 with the audio version due out Dec. 23, 2017. But more than just one book, the full project includes a gallery exhibit, which ran from Sep. 9 to Sept. 24, and a music album set to be released in 2018. The gallery exhibit, called “The Reckoning,” featured 11 artists including Jordan Hamilton, Keegan Xavi and Chaka Mkali. 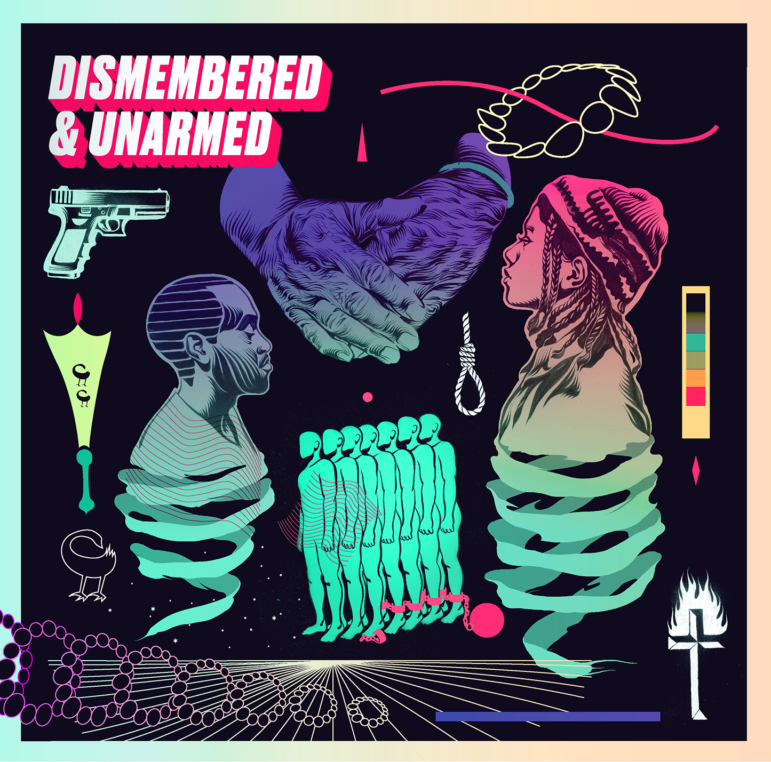 The music album, “Dismembered and Unarmed” shares its title with Part 1 of the book. 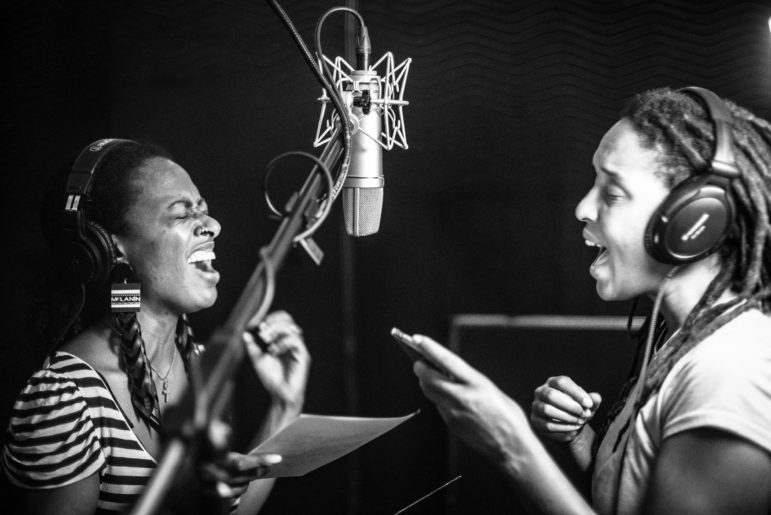 Featuring a lineup of Twin Cities music powerhouses including vocalists like Jayanthi Kyle, Alicia Steele, Lady Midnight and Lioness, the album brings the final piece in Menakem’s multimedia meditation. Beyond its apt timing, this project is distinct because it puts a new twist on the discussion of racial tension in the United States. First, it is collaborative and therefore performs the collective healing that it calls for. Second, the different media and entry points to the project are designed to be accessible. Third, its purpose is to move audiences toward action. The collaborative nature of the project is particularly evident in the music album and gallery exhibit which grew from a call to work with other artists to depict the concepts contained within “My Grandmother’s Hands.” Dozens of artists responded to the call and were involved in the project. Menakem was purposeful in calling upon artists to share in this work; yet he was surprised by the impact that this collaboration had on him. This desire for accessibility is also apparent within the book. Menakem brings quotes from many including ancestors while also channeling his own past experiences. This melding of voices lends to Menakem’s purpose of speaking in a language that is understandable without needing an advanced degree or targeted study. Moreover, it recognizes the credibility of Black visionaries, such as Toni Morrison, who are often not considered experts on trauma although they should be noted as such. As a result, this project has the potential to become part of an undergraduate curriculum, healing workshops or trainings and recreational book clubs. Including music contributes to the project beyond accessibility. Jayanthi Kyle, a local vocalist and activist known for the protest anthem “Hand in Hand,” is featured on multiple tracks of the “Dismembered and Unarmed” album. She became involved in the project after training with Menakem as a “soul medic” through psychological first aid courses. Believing that “the way we as a people have gotten through anything is through music,” she supports the accompaniment of music especially for this book and its focus on deep seated trauma and healing as a way to “soften the blows and get us through” the difficult topics. Through his emphasis on the body beginning with a section entitled “Watch the Body,” and later realized through multiple segments called “Body Practice,” Menakem designed his book to be actionable. He attempts to provide guidance for the type of healing he believes is needed to eradicate white body supremacy. Menakem pointed out that while having people understand these complex concepts is important, the real purpose is in catalyzing action. “I want people to get this stuff, understand and actually do something about dismantling white body supremacy especially within white spaces. To disrupt white spaces in a way that allows more room so that we can have a more equitable society. So for me it’s not just about ‘I get it.’ It is ‘oh, I get it and here’s what I’m going to do individually… here’s what I’m going to do with other people,’” he said. In its versatility, this project fits within the trajectory that Menakem finds himself on. He noted that lately, he finds his calling in helping other healers to develop. “I have seen my work become lately not so much about me doing the healing, but also helping other people in the community have the skills and teach people some of the ways that I heal so that it doesn’t always have to be me individually,” he said. Menakem is already working on another book which will likely reflect some of the lessons learned through this project. He also is continuing to work with Public Functionary, the art gallery that hosted “The Reckoning” exhibit. He hopes to help facilitate additional art series’ that bridge these pertinent and challenging topics. Importantly, he also hopes to encourage others to write so that he doesn’t have to tackle all of these topics. These efforts and the present project demonstrate various ways that Menakem has worked to expand the reach of his healing work and it seems like it is working. “It hasn’t taken over the world but I think it is making people talk to each other about this concept of white body supremacy and race and trauma and all that different type of stuff in ways that I don’t think people were talking about before that,” Menakem said. 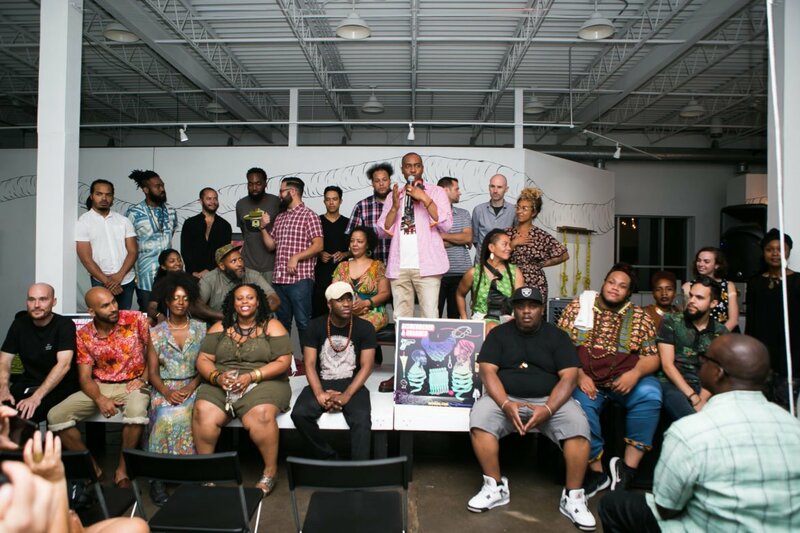 The Million Artist Movement, a collective of artists committed to Black Liberation, is hosting a Power Gathering in February 2018 highlighting Menakem’s project. The Power Gathering will invite community members to share space, conversation and food around the concepts presented in this project. In the spirit of this project, the event will incorporate discussion, music and movement. The music will be provided by Passed Present whose members Jayanthi Kyle and Alicia Steele are featured on “Dismembered and Unarmed.” Movement and dance will be led by the people behind Don’t You Feel It Too? My community is using your book to help lead us to greater healing. I am a birth doula and doulas know that every day and every birth going back generations is present in the birthing room. It feels proper for those of us witnessing and supporting birth come to healing of ourselves so we have more to offer families. I am 72 years old (all of my colleagues are decades younger) and I am pondering the trauma I carry and how it has influenced the over 400 births I have witnessed. “Mother King” is a conceptual Black opera about the life of Alberta Williams King — slain activist and mother of Rev. Martin Luther King Jr. The State House is considering a bill that would seek to address the wage gap by prohibiting employers to ask potential employees how much money they made at their last job. People of color and women tend to make less money on average than white men while performing the same jobs, and the question of the previous salary reinforces this as employers continue paying people what they have earned in the past. One of the first things you notice at Jim Denomie’s home and studio in Shafer, Minnesota, are the horses. I’m not talking about live horses.